Judges at the “American Voices Coffeehouse Read,” a volunteer social in January of 2014 at Phoenix Book Company. Now YAA needs community support to keep growing language and media arts in Arizona. 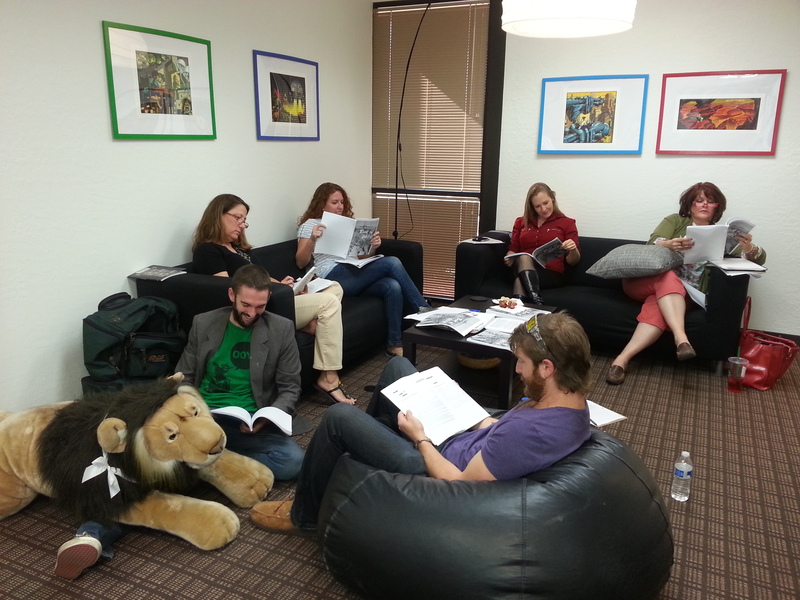 While many inspired the Scholastic affiliate and our incorporation as a non-profit, YAA’s Board of Directors serves as a group of five to responsibly grow young authorship for the State of Arizona. The following individuals serve on YAA’s Board of Directors. 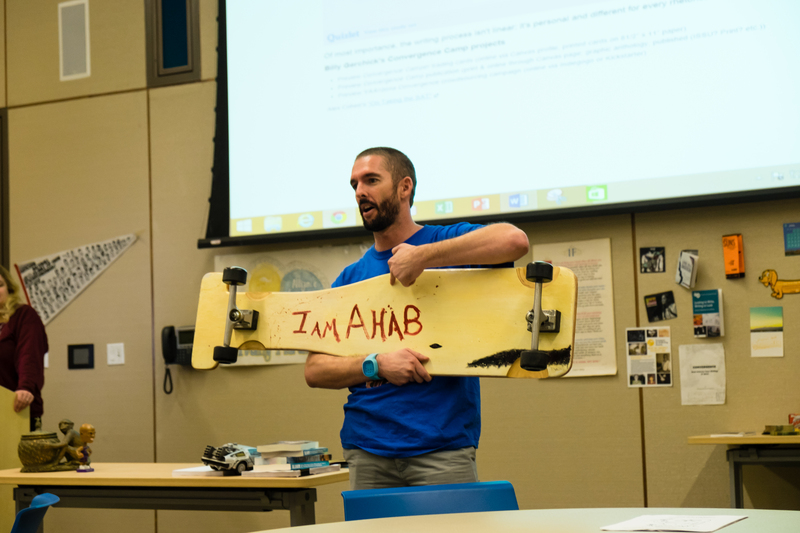 YAA President Billy Gerchick introduces “Eight Stages of Authorship” with his longboard. Billy teaches English at Metro Tech High School in the Phoenix Unified High School District and at Phoenix College. YAA Co-Founder and President, Billy values the power of language and media arts collaboration and thanks all who make this organization happen. Julie graduated from ASU, has taught in Arizona, advises college students, and is VP of Education for Blended Learning Solutions in Phoenix. When not plotting to reform school systems & save the world, she’s YAA’s Vice President and goes undercover for the grammar police. Jay has served as education professor at Arizona State University’s Mary-Lou Fulton College of Education and as English professor at various Valley colleges. Morganstern cherishingly thanks: his parents, Stanley and Paulette, who taught him how to write and appreciate the written word; his Great-Aunt Frieda, who introduced him to the spoken word; and his 10th grade teacher Ms. Greenberg for supplying the most important words he ever read: “Invictus,” by William Earnest Henley. An active parent, legal professional, and community philanthropist, Pearlette donates her time to YAA in an advisory capacity, helping us responsibly grow as an organization.